The Neighborhood Academy in Prinzessinnengarten presented in March 2016 the 15th Garden, a support network for independent food sovereignty in Syria, with an evening of discussion, food and music. 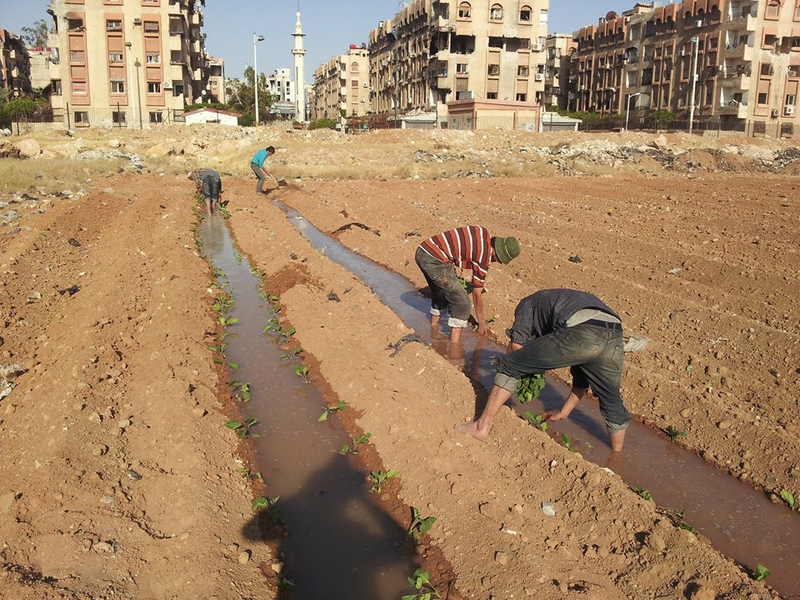 The “15th Garden“ is a Syrian-European network that for the last two years has supported urban gardens and agricultural projects in and outside Syria. The network aims to strengthen independent food production in times of conflict; and above all, to sow the foundations for postwar food sovereignty. 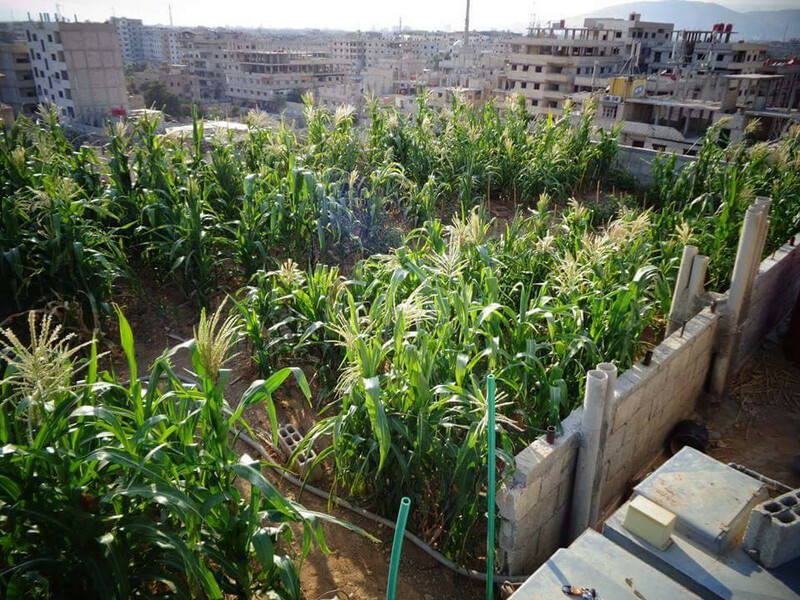 For years Syrian individuals and initiatives have been growing their own food in besieged regions of Syria, often under very difficult conditions. They created gardens on rooftops, in backyards, between the ruins of bombed houses, built irrigation systems and organised seeds. These gardens play an important role for the local food supply and for local self-determination, under siege. They are also instruments against usury on the black market, and the one-sided dependence on international food aid. On the 15th of March 2014 Syrian activists founded the 15th Garden network. The 15th Garden soon found solidarity both within the region and by initiatives in Europe, to help support these independent productive gardens. European groups in Germany, France, Greece, Italy and Sweden began to collect organic non-hybrid seeds; to fundraise; curate skills workshops and info events; and to drive with a mobile cinema through towns and villages, to tell a different story from Syria: not of terror, bombs and escape, but of seeds, self-determination, freedom and the belief in peace and a better future for Syria.